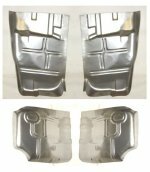 Motor City Hi-Performance now carries replacement quarter panel skins for your 1968-1972 Skylark. 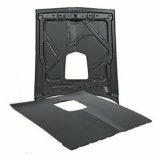 LH QUARTER PNL 2 DR 77 IN. x 27 IN. SKYLARK 68-69 $415.00/ea. RH QUARTER PNL 2 DR 77 IN. x 27 IN. SKYLARK 68-69 $415.00/ea. LH QUARTER PNL 2 DR 77 IN. x 28 IN. SKYLARK 70-72 $259.00/ea. RH QUARTER PNL 2 DR 77 IN. x 28 IN. SKYLARK 70-72 $259.00/ea.